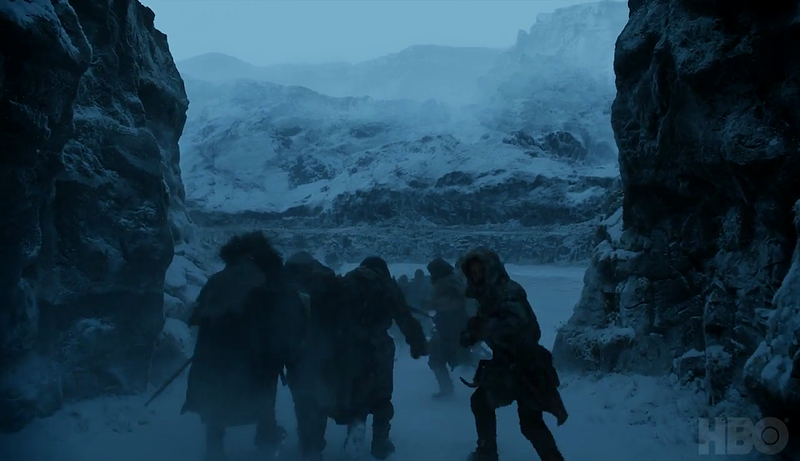 Just under two months from its premiere, Game of Thrones finally thawed out a Season 7 trailer, teasing new alliances, surprise returns, and the great White Walker war to come. 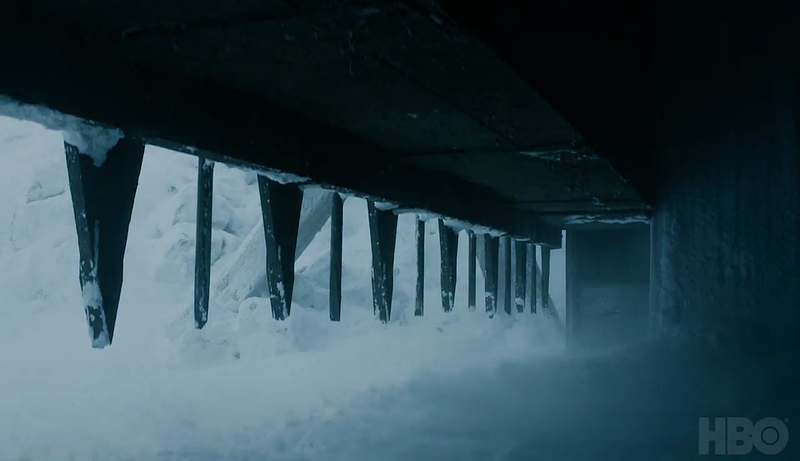 We couldn’t help diving way deeper into every frame of footage in anticipation of Game of Thrones hitting HBO in July. Beware of major SPOILERS, and check out everything we found in our inside look at the secrets of HBO’s Game of Thrones Season 7 trailer! 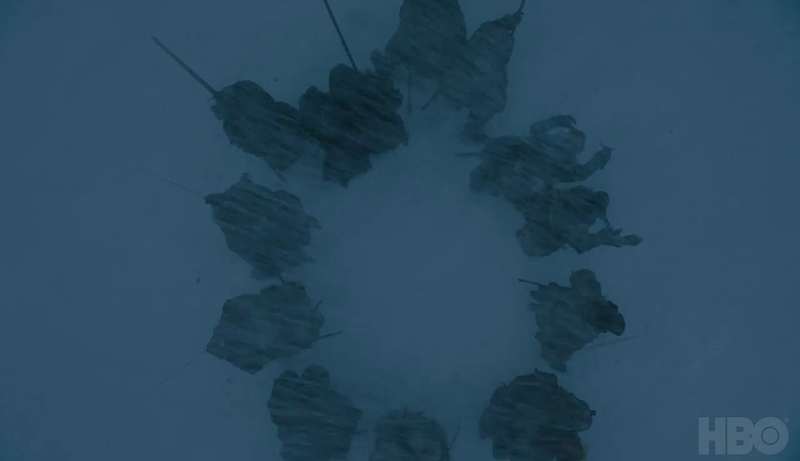 We’ll get into Grey Worm and the Unsullied’s next conquest in a bit, but it looks like the former slave soldiers’ new winter armor has Daenerys’ very own Targaryen sigil, reflecting her three dragons. Nothing wrong with a bit of accessorizing! Enemies to the East. Enemies to the West. Enemies to the South. Enemies to the North. Whatever stands in our way, we will defeat it. More maps! 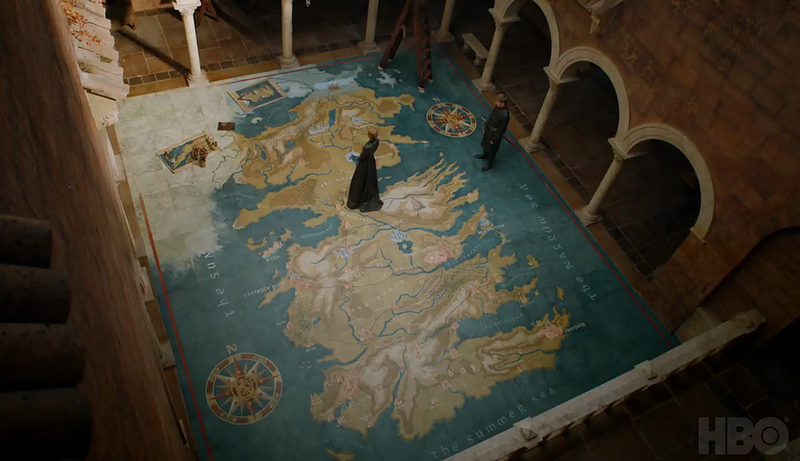 Everyone’s got a room full of maps this season, including Cersei’s giant overhead version, and what looks to be Daenerys and Tyrion at Dragonstone. Lot of strategy to be traded back and forth between these two queens, so they’ll need it. 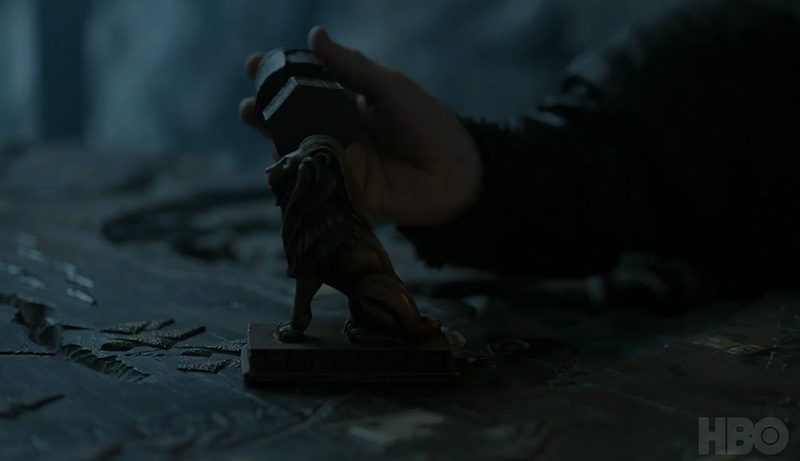 And from the looks of this shot at 1:22, Tyrion is eager to topple the Lannister lion. 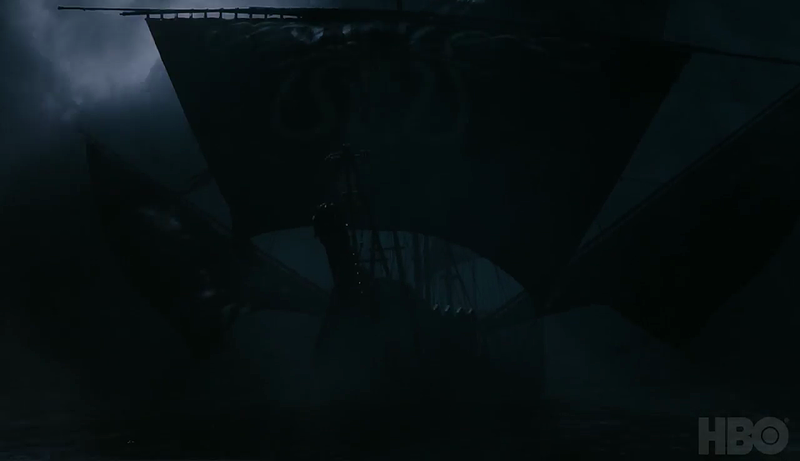 This sinister-looking ship at 0:11 is revealed in a flash of lightning to have a kraken sigil on the canvas, so we’d guess this is part of Euron Greyjoy’s fleet, considering the destruction we see Theon observing at 0:57 and 1:11. The boarding plank on the right could also potentially fit the “wings” on the above ship. The newly-crowned Salt King was bound to catch up with his niece and nephew sooner or later, and it’d make sense if their confrontation took place on the open seas. 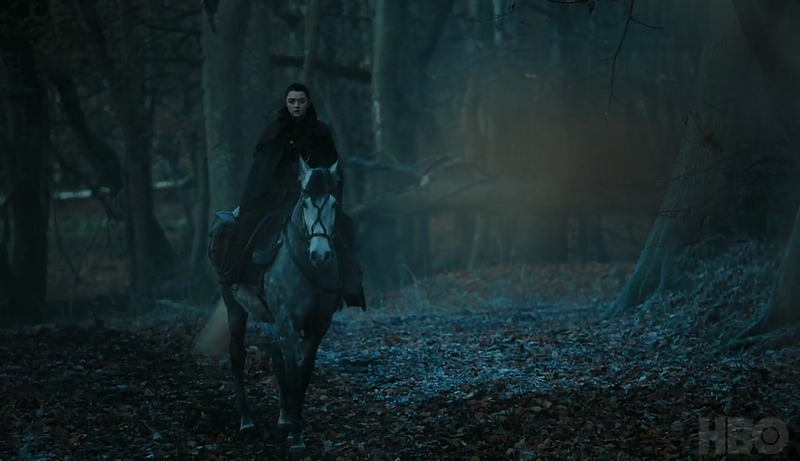 There’s tragically little Arya to be found (busy canoodling with Ed Sheeran, no doubt), though we at least get the above woodland shot at 0:19, and some shots of the littlest Lady Stark freezing in the woods around 1:04. We’re the last Lannisters. The last ones who count. 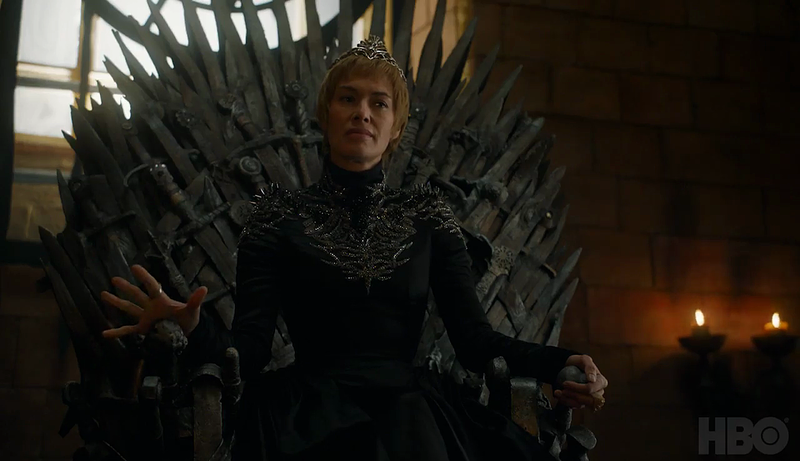 Just Queen Cersei, lording over her redecorated throne room with Jaime by her side, and presumably keeping her manicure fresh. 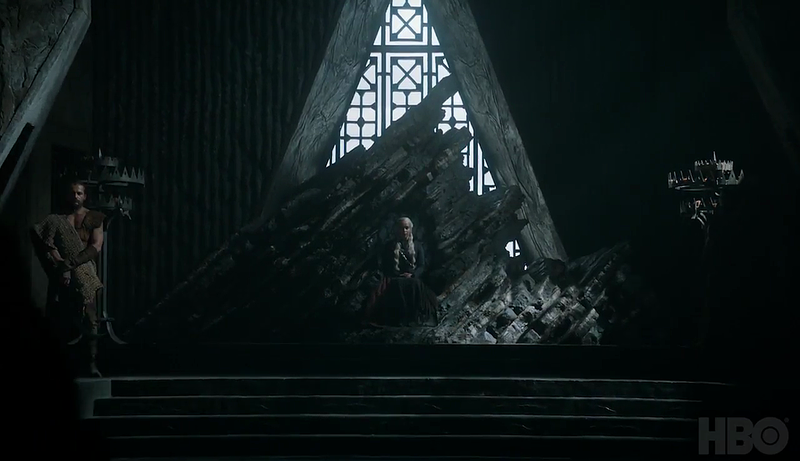 She doesn’t seem to think her younger brother of much importance now, and Tyrion has his own preoccupation with – HOLY DRAGONS! 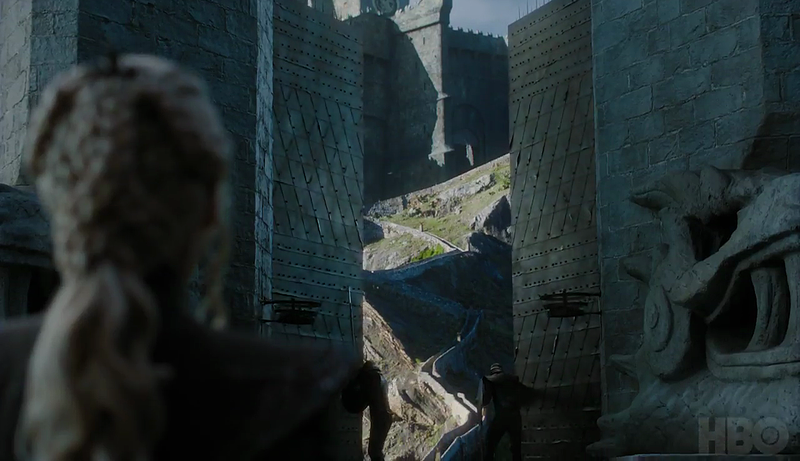 And speaking of dragons, here’s Daenerys at 0:38 returning to her ancestral home (and birthplace) at Dragonstone, and presumably feeling some deep, Jedi-like connection to the land. Now, here’s an interesting one. 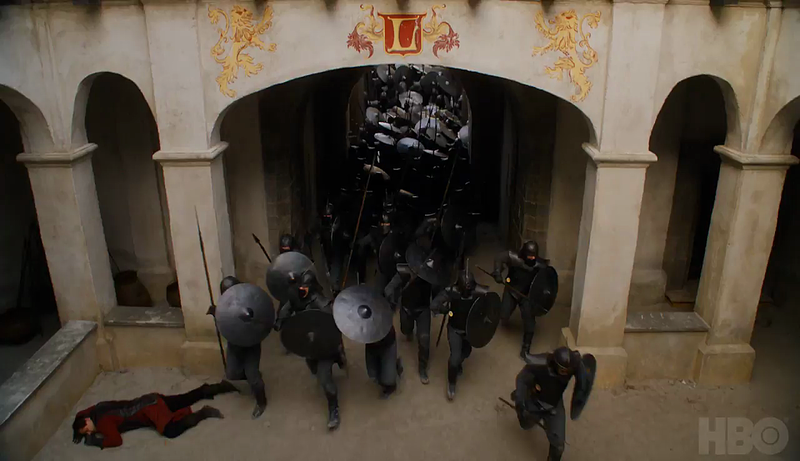 At 0:47, we see the Unsullied invading what looks to be some kind of Lannister keep. 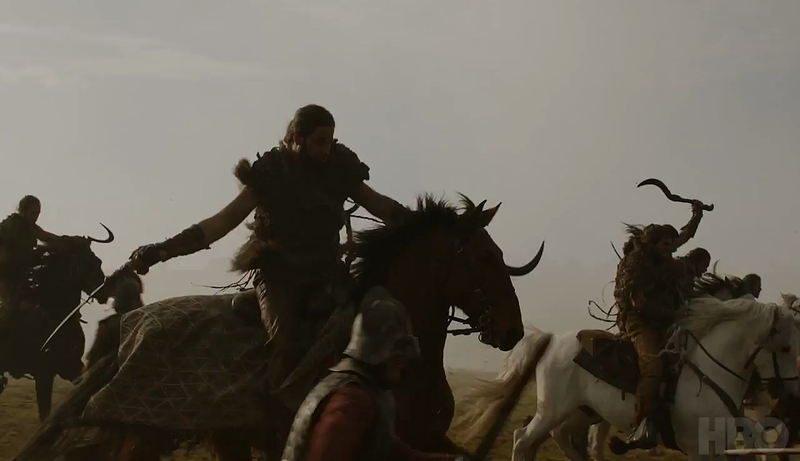 We see another angle of it at 1:17, and what looks like the Dothraki fighting the same types of guards outside at 1:20. 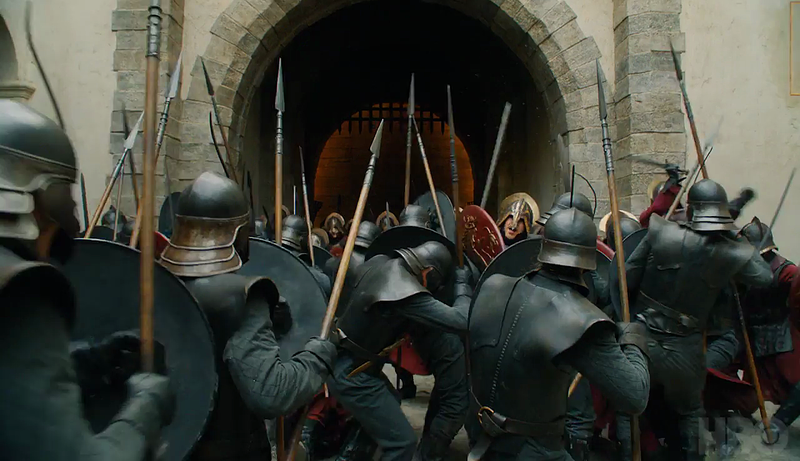 These uniforms are pretty unfamiliar as far as Lannister garb goes, so might we be looking at Daenerys sacking a previously unseen Lannister location? Casterly Rock, perhaps? 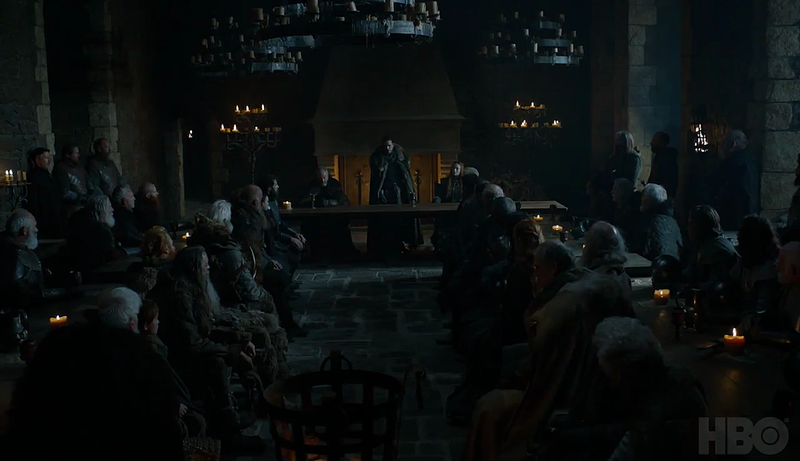 At 0:52, Jon Snow’s still holding court in Winterfell, with Tormund, Sansa, Davos, Brienne and li’l Lyanna Mormont still hanging around. 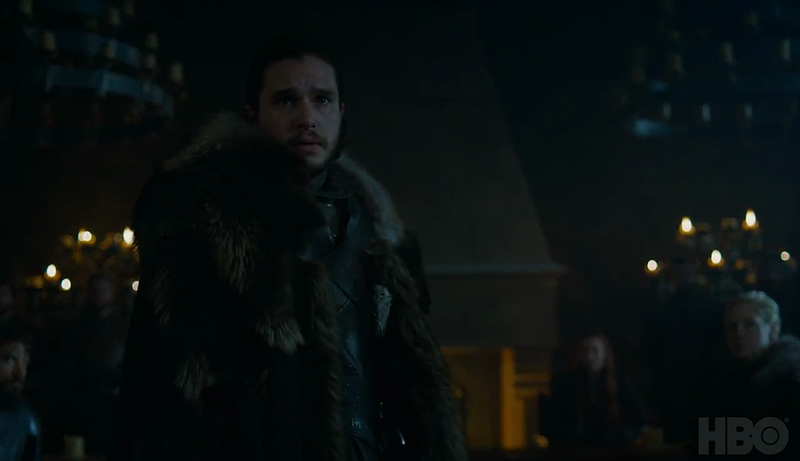 Judging by an earlier shot, however, it looks as if Winterfell’s about to have a surprise guest that catches Jon’s eye. Your father and brothers are gone, yet here you stand. Last, best hope against the coming storm. 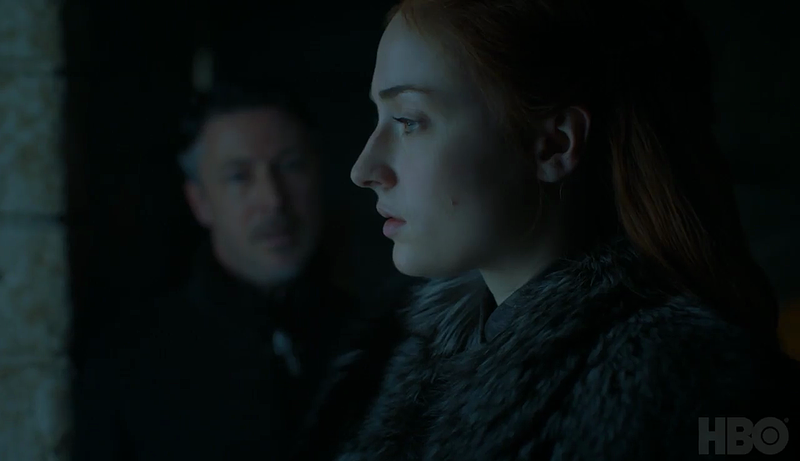 As we’ve seen from recent photos, Littlefinger is of course still trying to get in Sansa’s ear at 0:53, and doing the absolute worst at trying to seem trustworthy at 1:07. 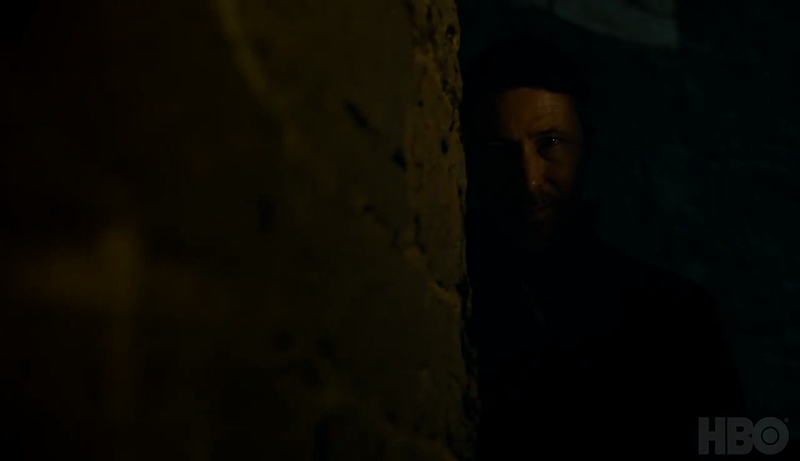 Jon is clearly not having any of it at 1:17, doing his best Ned Stark to shove Littlefinger against a wall, but take note of where they are. That’s the Stark family crypt, which on two separate occasions has been used for exposition about Lyanna Stark, whom Season 6 confirmed as Jon’s mother. Littlefinger seemed to have some knowledge of that last time, so might Jon be learning of his true heritage at last? If we don’t put aside our enmities and band together, we will die. And then it doesn’t matter whose skeleton sits on the Iron Throne. 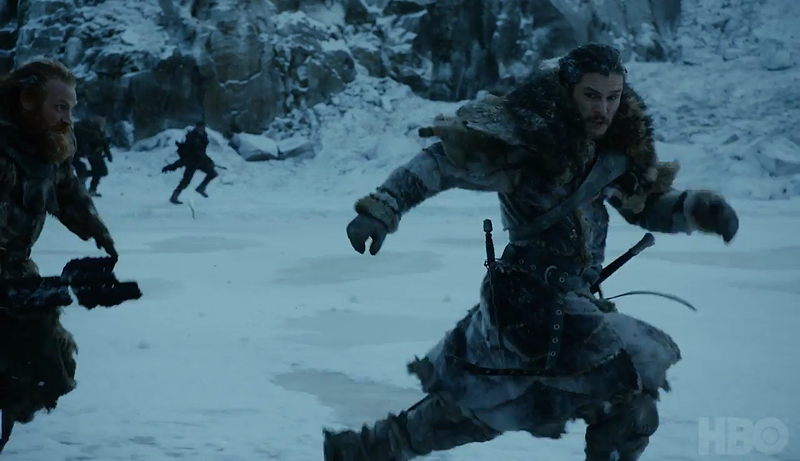 But then again, there’s another shot of Jon and Tormund running at 1:21 that could very easily apply to the same scene. And is it me, or is Tormund holding something important? Well, Melisandre may have been banished from Winterfell, but the Red Priestess is headed right back where she began: Dragonstone! 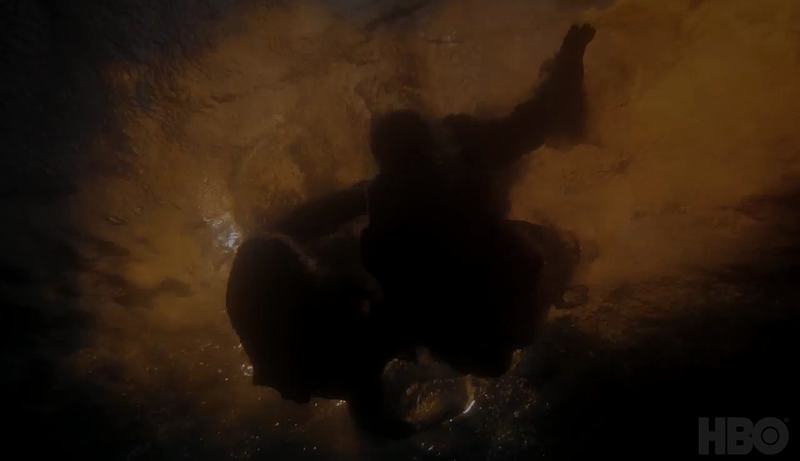 That’s almost certainly Melisandre looking down on Daenerys’ arrival at Dragonstone below, though jury’s out if she announces her presence to the Dragon Queen right away. After all, there’s been some debate as to whether Jon or Daenerys represent “The Prince(ss) That Was Promised,” though we imagine Melisandre has a hand in getting those two crazy kids together. 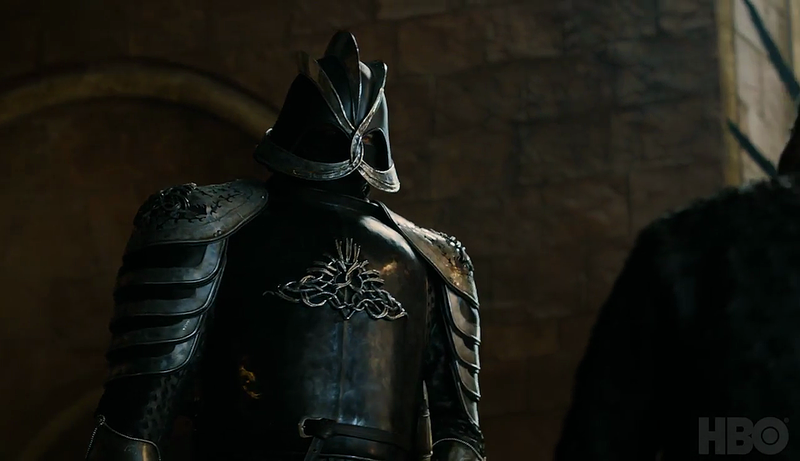 Or is that Darth Clegane? I don’t have anything to say about this shot at 1:14. Sometimes a zombie Mountain just deserves fresh threads. 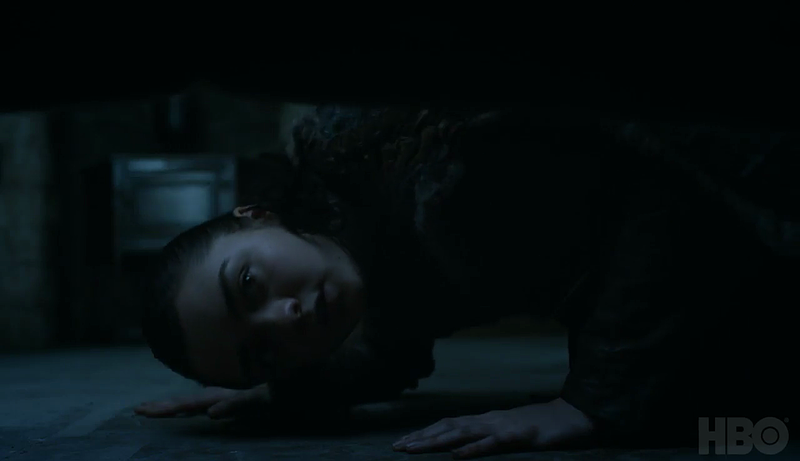 Perhaps the most curious pairing of shots comes at 1:19 and 1:20, where we see what appears to be Arya checking under the bed, and a similarly-lit shot of a Greyscale-afflicted hand reaching out. 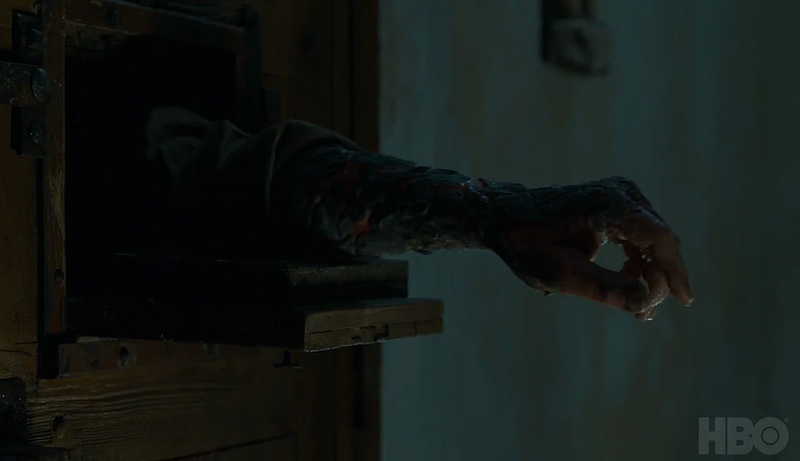 The obvious suggestion is that we’re looking at the progression of Jorah’s disease, but there’s any number of potential explanations here (if that’s even him). 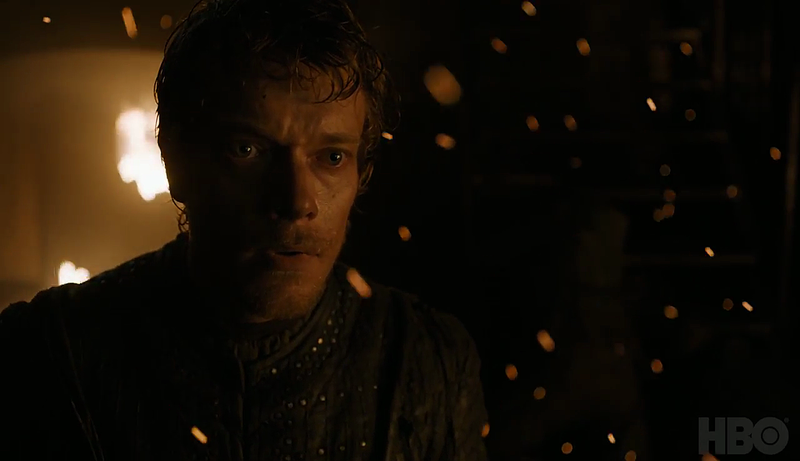 There’s also no guarantee he or Arya will come anywhere near one another (remember, Jorah was around Daeynerys last we saw), despite the shots being juxtaposed. Look, no matter how many Great Wars the coming season brings us, there’s always time for a little nookie. 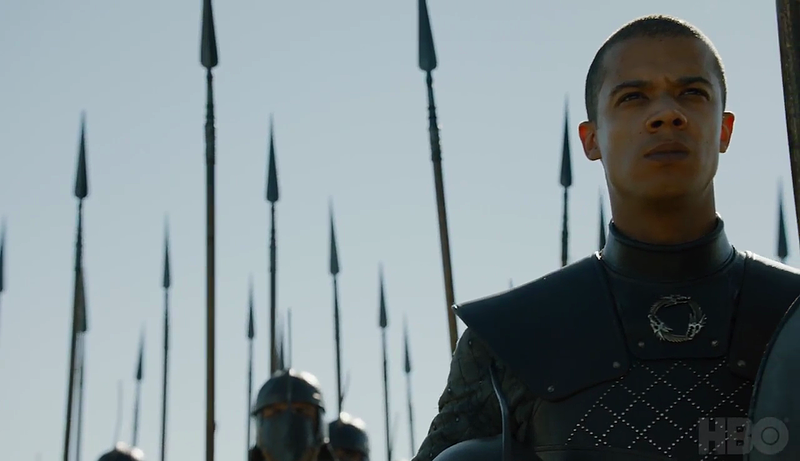 Glad to see Missandei and Grey Worm finally throwing down at 1:22, but pairing Yara and Ellaria Sand is DEVASTATING for my Yarnaerys fanfic. 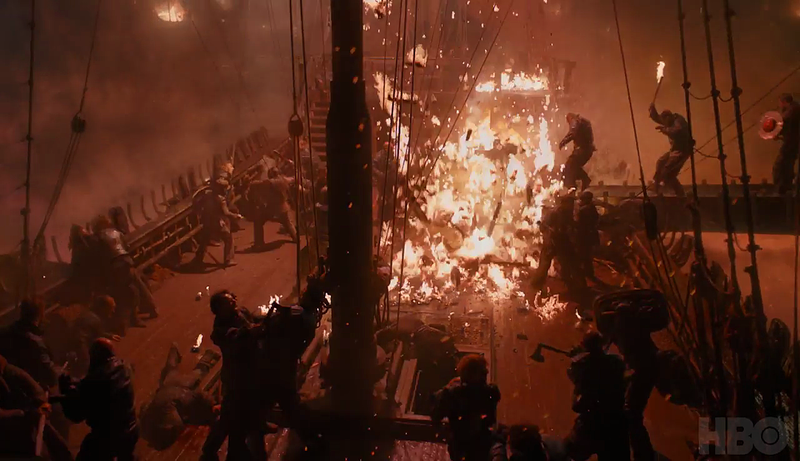 Hard to say who’s leaping into the water at 1:24 here, but we’d presume it has something to do with the burning ships Theon observed earlier. No words. Just a thing of beauty, that is. Well, what do we think? 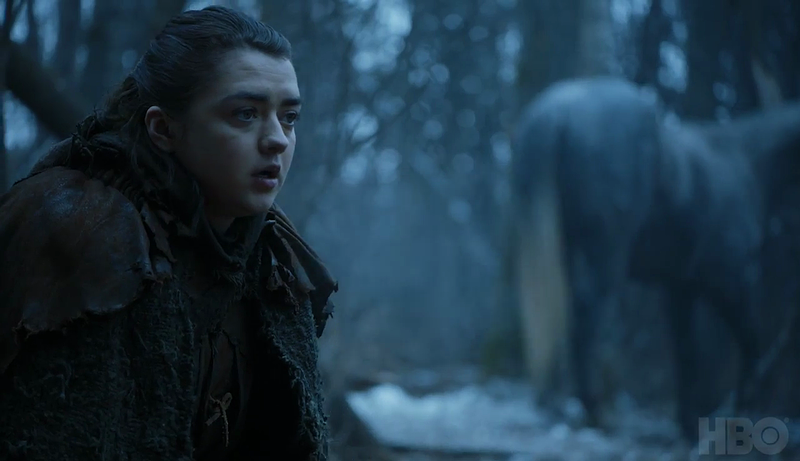 Does Game of Thrones Season 7 seem like its strongest yet? What other details from the trailer are worth another look? 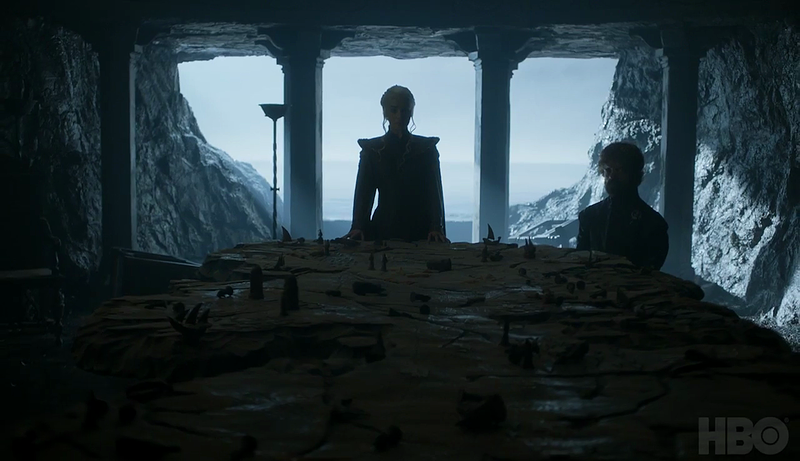 Stay tuned for the latest, and get ready to return to Westeros for the July 16 premiere!